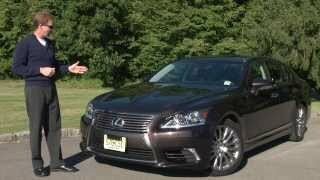 The new Lexus LS 460 2013 has been revealed quite recently, boasting a bold design, better more dynamic handling and higher performance than ever before. 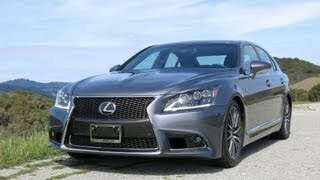 Packed with state-of-the-art technology the new LS 460 promises to deliver the luxurious and refined feel we got used to from a Lexus sedan, but it also aims that all these qualities to be delivered in a fresher package. The new model will be available in four different flavors, the 2013 LS line-up consisting in the LS 460, the LS 460L, LS 460 F Sport and the LS 600hL hybrid. Lexus has not revealed much information regarding the engines that motivates the new LS, but they have mentioned that the 460 and 460 L models are available in both Rear-Wheel-Drive and All-Wheel-Drive. 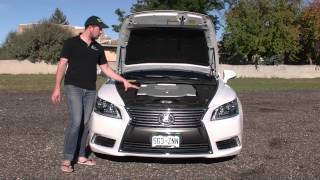 The hybrid on the other hand comes with a permanent AWD system. In another train of thought the F Sport is probably the most interesting version of the newLS. It comes with a more aggressive exterior designed and a unique interior that includesF Sport seats and a leather-wrapped steering wheel featuring genuine aluminum trim and paddle shifters just to name a few. The F Sport however, boasts a larger array of modifications beyond aesthetics and in fact it comes with a tuned air suspension that lowers the car by 0.4 inches, a Torsen limited slip rear differential in the RWD model, a new set of 19 inch forged wheels and a new set of Brembo brakes with six-piston calipers. The new 2013 model has also been improved when it comes to stability and handling, regardless of the trim level. The body rigidity has been enhanced and the ride has been made more confortable. The steering has been further revised to deliver better turn-in response and accuracy, and the braking system has been adjusted in order to deliver a better pedal feel. Lexus' latest sedan is – as expected – packed with safety features, including pre-Collision Safety system featuring Collision Avoidance Assist, Adaptive Cruise Control, Lane-Keep Assist, Blind Spot Monitor featuring Rear Cross Traffic Alert and Automatic High Beam. Luxury options include power rear seats with Climate Concierge, a rear seat entertainment system featuring Blu-ray player, SD card slot and a 9-inch full-color screen mounted on the ceiling. Furthermore, an Ottoman Seating package with Shiatsu Massage will be available as an optional extra. Pricing has not been revealed so far but we expect the battle between the Lexus LS 460 2013 and the BMW 7-Series, Jaguar XJ and the Mercedes Benz S-Class to be quite interesting this year.